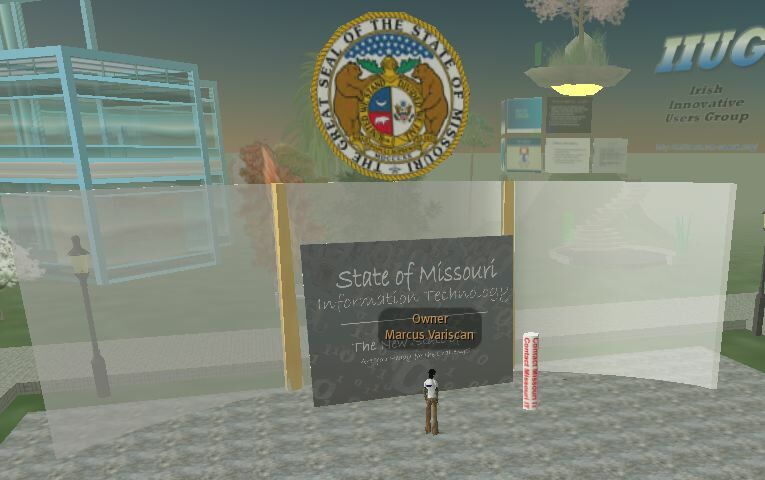 Some of the folks involved in Missouri IT recruitment are exploring whether Second Life might be able to reach prospective employees. I’ve been working with them to design some information kiosks and such. (well, actually, I guess it’s been my Second Life alter ego, Marcus Variscan). Second Life is a virtual world that has a simple but very cool and flexible scripting language built into it. You can build and code some pretty complex 3d effects with relative ease. You have to have the client (which is free) and an account (also free) to get into Second Life. Here is a link to where the Missouri IT job fair is being built.